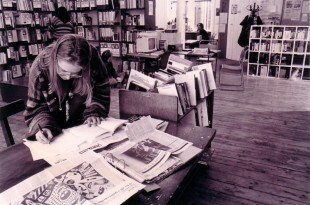 The Library is a unique resource in Scotland but has always sought inspiration, support and links with sister organisations world-wide. Many of the Library projects, policies and initiatives have developed after peer group visits, contacts or discussions. 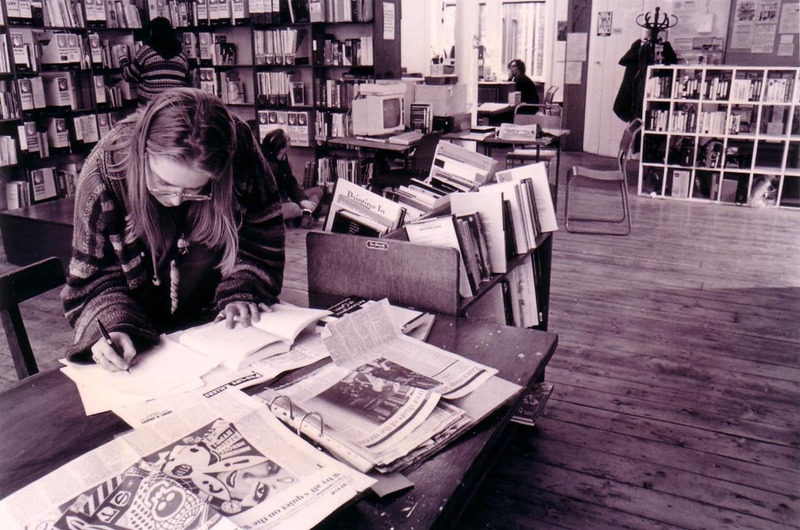 Over the Library’s history we have held hundreds of events, undertaken research, training and partnerships, visited and hosted workshops, conferences and exhibitions. We have visited international sister projects as well as making firm links with local and national women’s initiatives. In 2000, GWL secured its first project funding, enabling the employment of workers for the first time. This was followed by further successful funding bids to facilitate new projects focusing on the provision of Lifelong Learning opportunities and an Adult Literacy and Numeracy Project aimed at women. 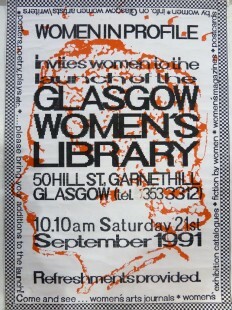 During a key period of development between 2002 and 2006, GWL secured its status as a Linked Library to the Scottish Parliament, appointed a Librarian and a Writer in Residence, undertook several research commissions on behalf of public bodies and launched its Women Make History Project. This period saw further growth in user numbers, with more than 10,000 people a year accessing the ever-expanding collection of materials and range of services. 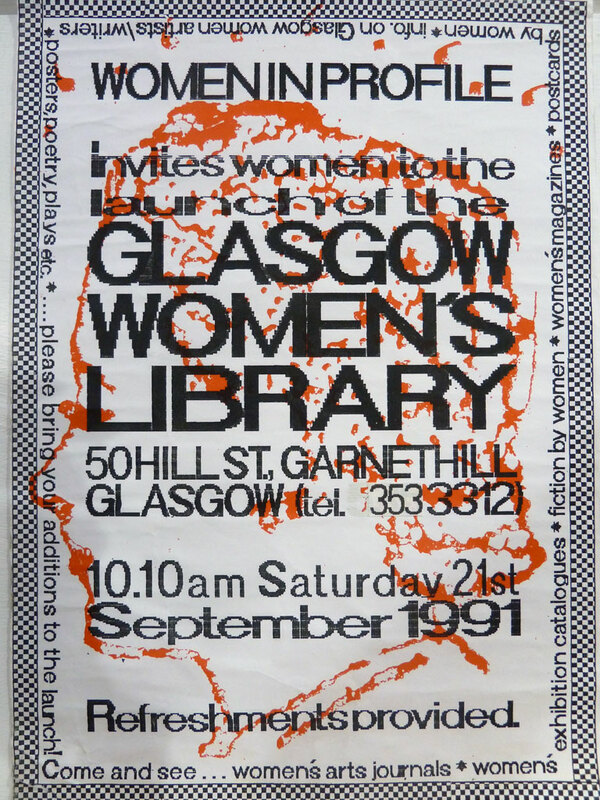 In 2007, GWL was decanted from 109 Trongate to temporary accommodation at 81 Parnie Street (due to the development of 109 Trongate for visual arts organisations) pending a negotiated and agreed relocation to permanent self-contained premises at the Mitchell Library, for which the organisation worked towards a planned £1.5 million refurbishment. Whilst some archive materials and artefacts remained in storage at Parnie Street, project work continued and in April 2008, a new learning initiative aimed at Black and Minority Ethnic Women was launched. The new Women Make History Project researched, developed and delivered its first Women’s Heritage Walk and has since developed a further four. In June 2008 GWL was successful in its bid for funding to the Heritage Lottery Fund and was awarded £410,000 to create a purpose-built archive space within the Mitchell Library premises and to employ an Archivist for three years to train volunteers in archive-related skills, conserve the collection and co-ordinate a programme of related public events. In addition, the Scottish Government agreed three years funding to develop GWL’s Lifelong Learning Programme at national level. 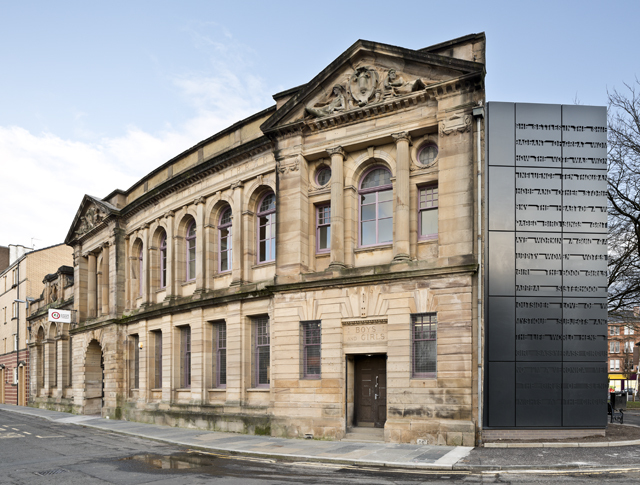 Like 109 Trongate, the temporary Parnie Street premises were also designated in 2010 as being required for visual arts project development, resulting in GWL having to move once again and take occupation of the Mitchell Library space in advance of planned renovation works. This move revealed, in fact, that the space could no longer meet GWL’s operational and strategic requirements in terms of size, functionality, vision and ambition. In the five years between the offer of these premises and the temporary move into them GWL’s growth had been significant, having increased its paid staff cohort three fold from four to 12 and doubling its number of core projects from four to eight. GWL worked with Glasgow Life to identify suitable new premises, and the former public library building in Landressy Street in Bridgeton was identified as an option for GWL by Glasgow Life as a result of the relocation of their public library service into the refurbished Olympia Building. With the support of Clyde Gateway the Library worked hard to raise money for the essential renovations needed to make Bridgeton Library fully fit for our purposes. Having relocated to permanent premises at 23 Landressy Street in 2013, a major £1.4 million capital refurbishment project was completed in November 2015, when the Rt. Hon. Nicola Sturgeon MSP, First Minister of Scotland opened the new premises, publically declaring GWL as ‘truly a national treasure.’ This was followed in December by GWL being awarded the prestigious status of ‘Recognised Collection of National Significance’ by Museums Galleries Scotland and the Scottish Government, further cementing its status as the only Accredited Museum dedicated to women’s history in the whole of the UK. Our awarding-winning building in Bridgeton. GWL has created, and now fulfils, a distinct role in Scotland. It has successfully defined its remit as an organisation that can deliver vital services and inspiring learning programmes to women from diverse backgrounds with different experiences and needs. The organisation has developed and expanded a range of innovative projects that primarily aim to address issues of social exclusion and marginalisation. In doing so, GWL has grown from a small grass-roots organisation into a well-used and widely-respected resource in Scotland housed in premises of excellence that befit such a unique organisation.